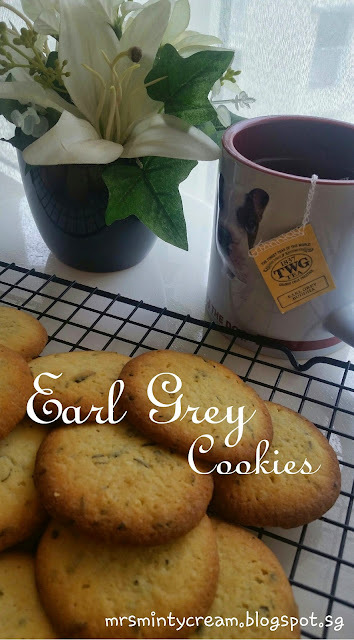 This is a recipe I learnt recently from a baking class at Phoon Huat. 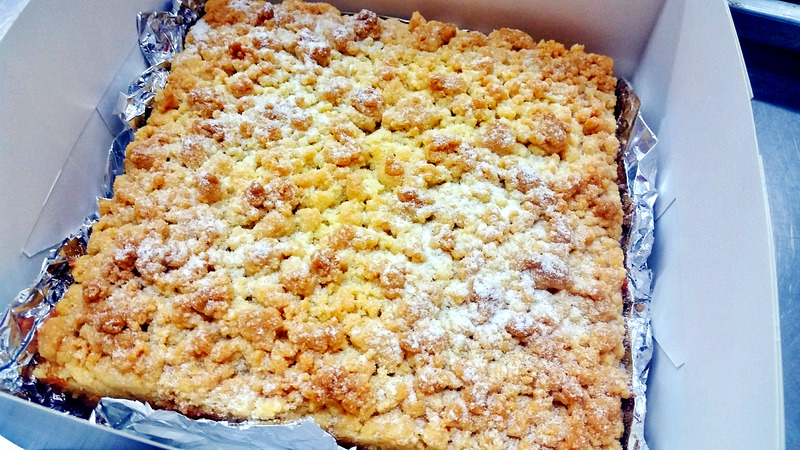 Crumble Cake, also known as the crumb cake, is the perfect cake to go with your coffee in the morning. 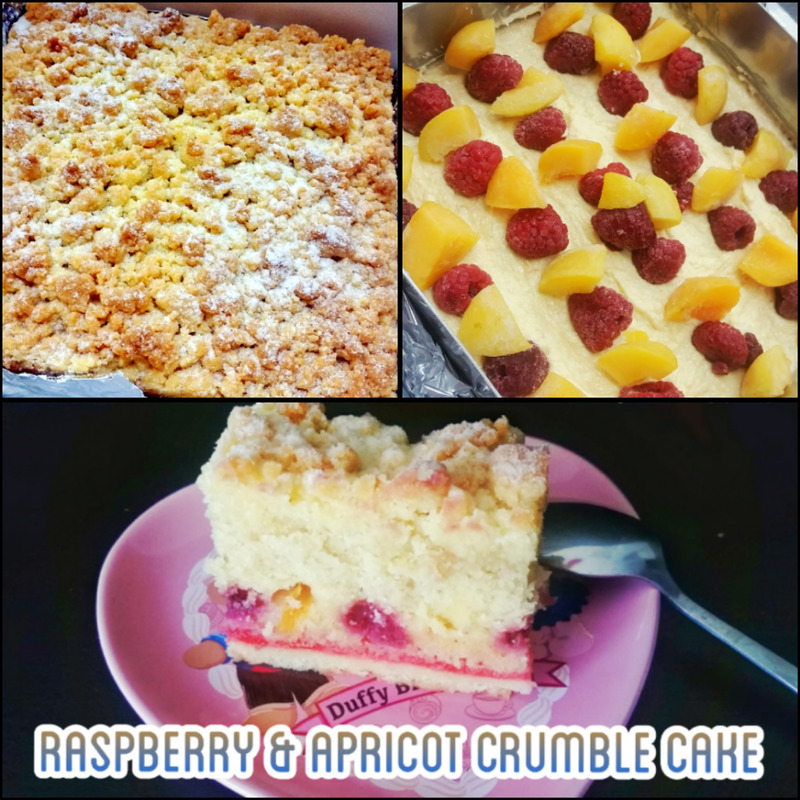 In my opinion, for a crumb cake to be good, the proportion of the crumbs to the cake is very important and this recipe just hit it for me. If I have to change something, I would probably replace the icing sugar in the streusel topping with brown sugar instead. That would give it a better sweetness and colour to the top. Although the recipe uses frozen raspberry and apricot, feel free to substitute that with a whole range of fresh fruits strawberries, peaches etc.) that you can choose from. 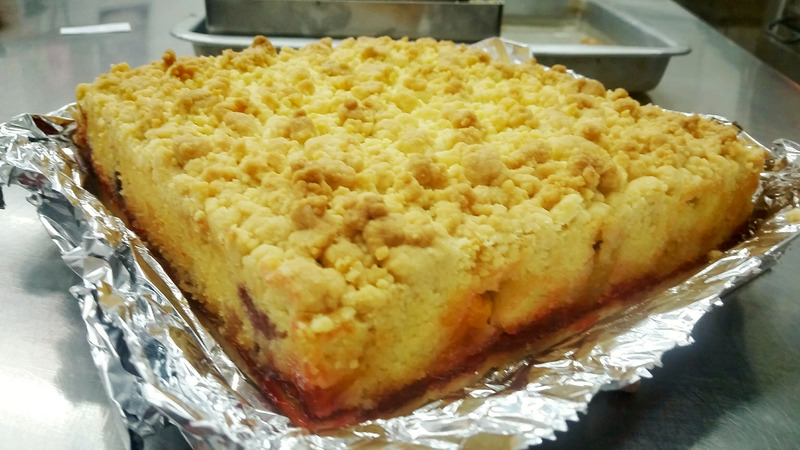 The fresh fruitiness will be one of the kick for this crumb cake. 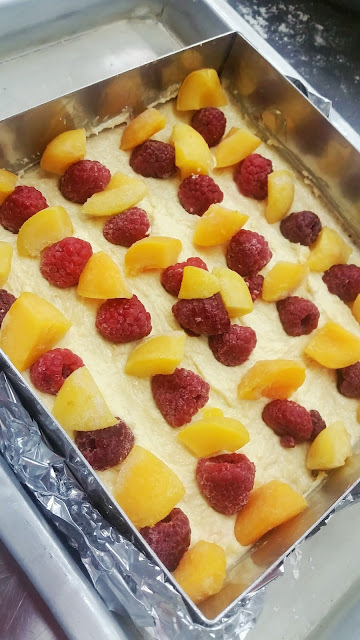 Recipe: Adapted & modified from Chef Patrick (Phoon Huat). 1. In a mixing bowl, cream butter and sugar together. 2. 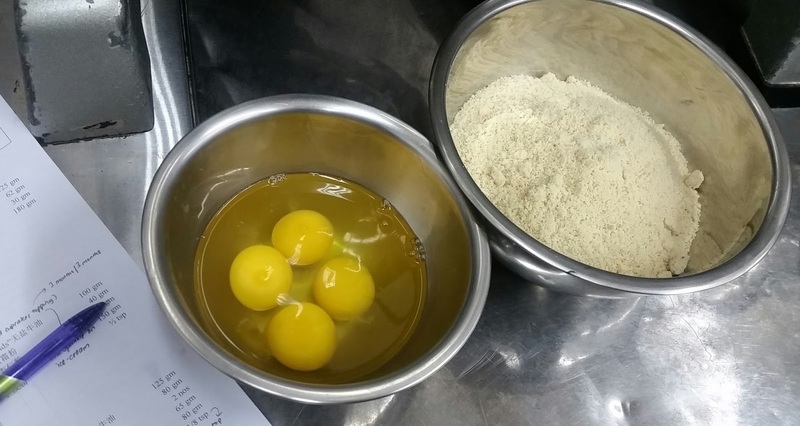 Fold in the egg and ensure that mixture is well mixed. 3. 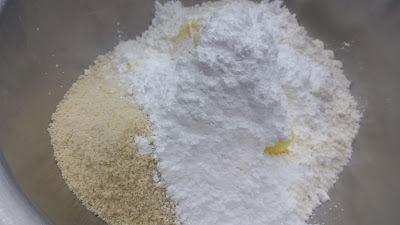 Add in flour to the mixture and combine to form a dough. 4. Once dough is formed, cover with cling wrap and rest it in the fridge for 40 minutes. 5. In a large bowl, combine all the ingredients, butter, icing sugar, ground almond, plain flour and baking powder. 6. Using rubbing method, rub & mix all the ingredients together until they are well-combined into a crumble texture. 7. Set aside for later use. 8. 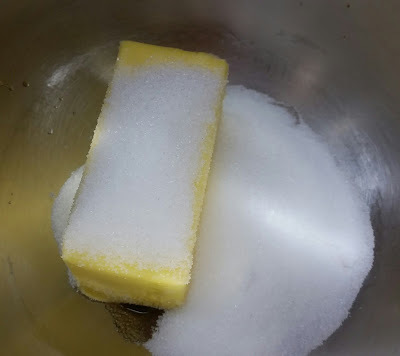 In a mixing bowl, cream butter, sugar and vanilla extract together until a creamy texture is obtained. 9. Add in eggs (one at a time) to the mixture and ensure it is well mixed. 10. Gradually add in the flour and ground almond and mix well. 11. Set aside for later use. 12. 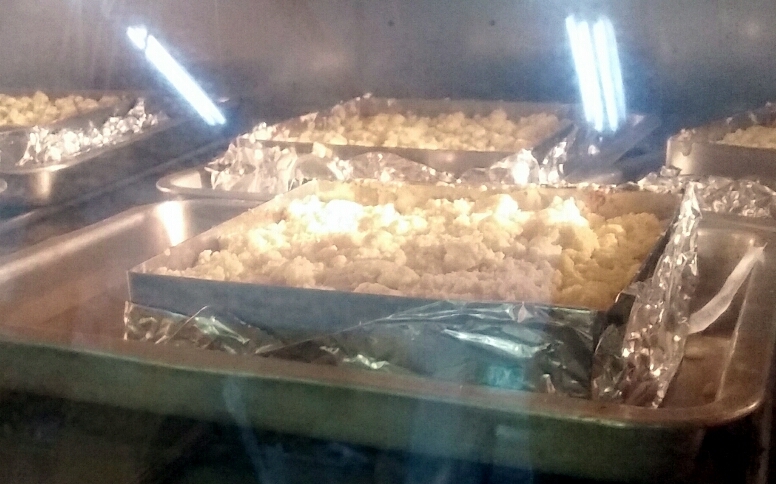 Preheat oven at 170C. 13. Remove sugar dough from fridge. Using a rolling pin, roll the dough to 1/2cm thick and cut out to the shape of the square mould. 14. Place the sugar dough cut-out in the mould. 15. On the sugar dough in the mould, spread a thin layer of strawberry jam followed by half portion of the almond butter filling. 16. 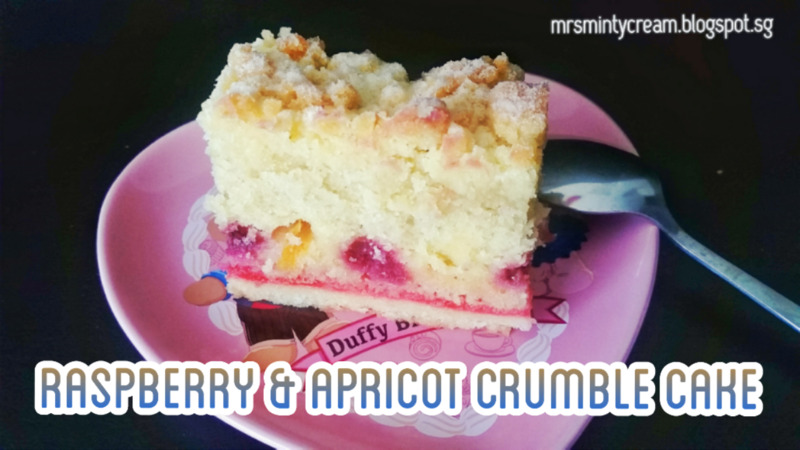 Lay the raspberry and apricot on top. 17. 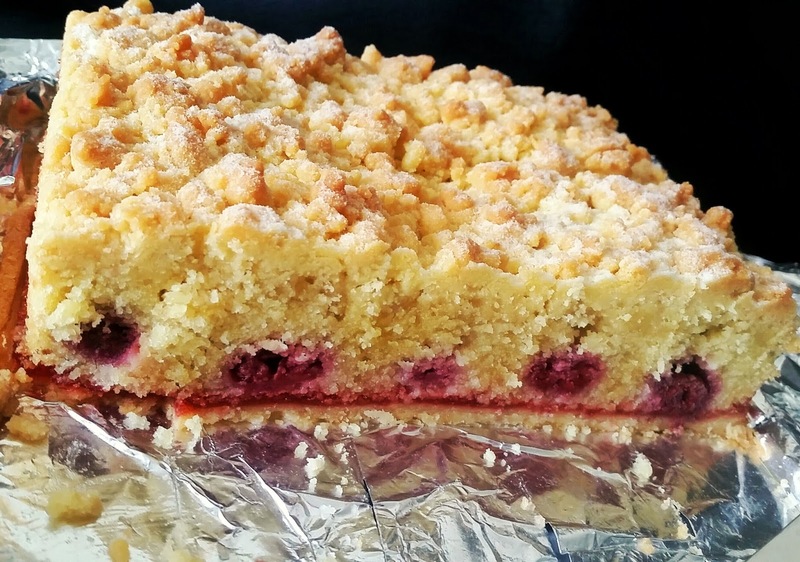 Spread the remaining amount of almond butter filling on top of the fruits before sprinkling the streusel topping on top. 18. 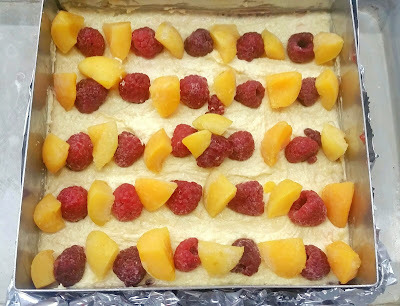 Bake the cake at 170C for 45 minutes or until cake tester come out clean when inserted into the centre of the cake. 19. Remove cake from oven and allow it to cool slightly while it is still in the mould. Dust with some snow powder or icing sugar before serving. It looks amazing. Thank you so much for sharing.